This space is a quiet haven in the heart of Williamsburg, Brooklyn. 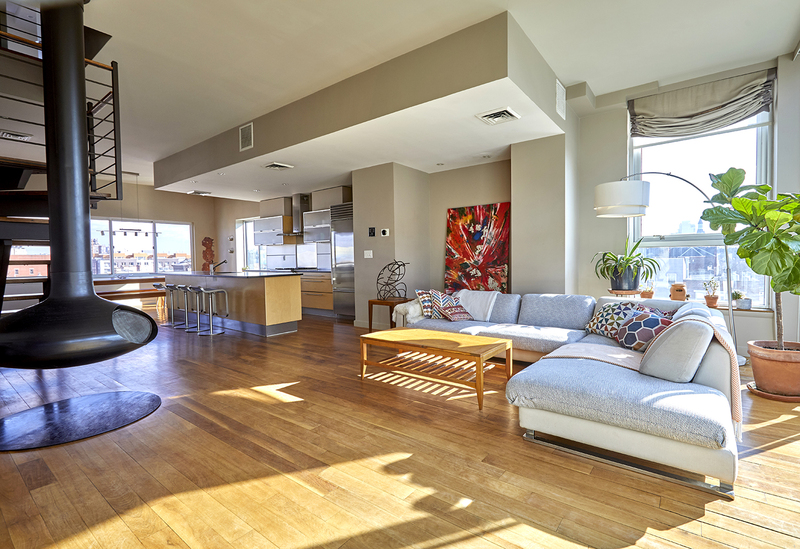 The 1,700 square-foot penthouse loft offers an open layout on two floors and plenty of natural light. The open kitchen, two terraces, three bathrooms, 2 bedrooms, 1 office space and an elevator that opens up directly to the living room makes this space a go-to for all producers, meetings and events organizers. We work with you at every step- before, during, and after- to help make your vision a reality with the highest level of quality and service. We handle all the logistics so you can focus on what really matters. Each space has an on-site representative. We have a hands-on approach and are here to assist you if needed. Once you book the space, our representative will be available on-site during the entire production, making sure your experience is seamless. Amenities include elevator, full open kitchen, Apple Tv, Chrome cast, High capacity WiFi, High end sound system, Office room, Tv Screen, 2 Terraces, Natural light, Diverse movable decor objects.